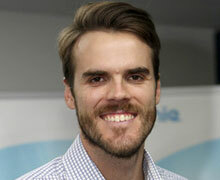 Several of Australia’s leading banks are experiencing weak financial results driven by an increase in bad and doubtful debt charges. 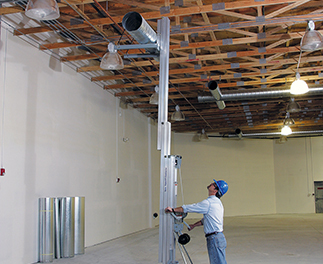 The trend is already contributing to tighter lending practices which are expected to drive more rental companies to equipment finance specialists to fund their purchases. 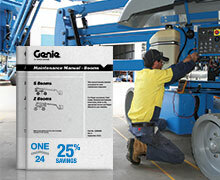 Genie Australia, a market leader in Australia’s Aerial Work Platforms (AWP) industry, has introduced a raft of consolidated maintenance protocols, as part of its innovative Genie 360 Support program. 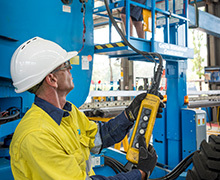 Genie Australia, a market leader in Australia’s Aerial Work Platforms (AWP) industry, has announced Platform Sales Australia as the new distributor of Genie® aluminium products in NSW and the ACT. 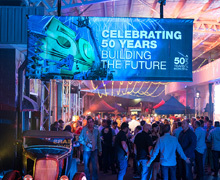 Marking 50 years in the aerial work platform industry, and the launch of its innovative Genie 360 Support initiative, more than 150 customers from around Australia attended the spectacular annual Genie Customer Appreciation Night in early May. 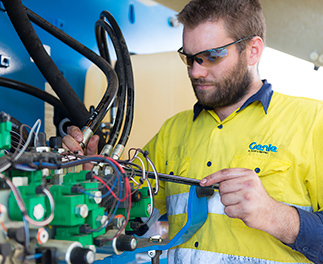 UGL Kentz JV has significantly improved machine downtime, operator efficiency and reduced the prospect of asset damage at its Ichthys MEC-1 Project site in Darwin after commissioning Genie to conduct a round of its comprehensive Genie® Lift Pro™ Machine Specific Operator Training. 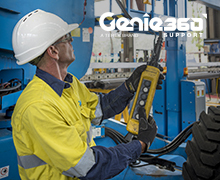 Genie, a market leader in Australia’s Elevating Work Platforms (EWP) industry, is setting a new benchmark for customer service with its groundbreaking Genie 360 Support initiative. 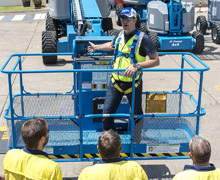 Genie, a market leader in Australia’s Elevated Work Platforms (EWP) industry, has developed three revolutionary new telehandlers featuring updated engines, enhanced capabilities, improved serviceability and more interchangeable components and accessories. 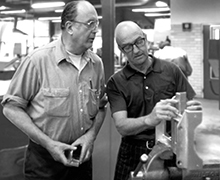 Marking half a century of serving aerial markets around the world, Genie, the Aerial Work Platforms (AWP) segment of Terex Corporation, is celebrating the major milestone anniversary with its customers worldwide. 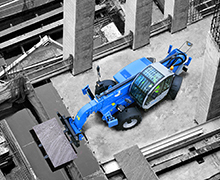 New maintenance protocol streamlines boom lift care – Genie has designed a new consolidated maintenance protocol that enables customers to complete the entire program for all Genie® S- and Z- boom lift models in less time. 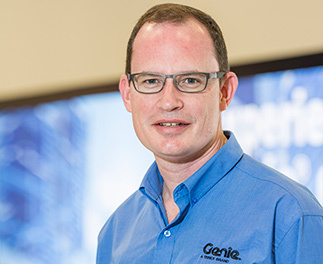 erex AWP Australia has appointed former Terex HR team member Greg Mutimer as its new Customer Support Manager for Genie®Parts. 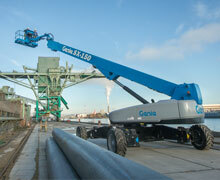 New “Versatile Workhorse” provides full capacity in complete working envelope - Genie continues to round out its Super Boom product family by announcing the new Genie® SX-150 telescopic boom lift.